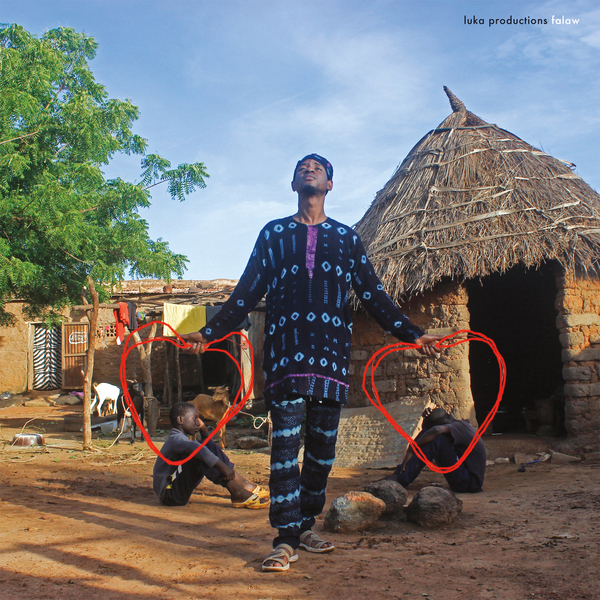 Based in a small studio on a busy street in Mali’s capital, Bamako, Luka Productions writes beats for some of the region’s biggest artists, such as Supreme Talent Show, Ami Yerewolo, Iba One, Van Baxy, and Sidiki Diabate, earning him a reputation as one of Mali’s most prodigious and revered producers. Luka’s 3rd release for Sahel Sounds follows the quietly stunning ‘Fasokan’ album with blend of that album’s balmier moments and the African pop and rap styles on his debut ‘Mali Kady’ tape, offering a much wider testament to the breadth and sweetness of his sound. Meshing live traditional strings and flutes with synths and software percussion, plus myriad vocals, ‘Falaw’ fully spells out Luka Productions’ style, drifting from the title track’s languorous folk soul at one end, to the driving, UKF-compatible banger ‘Dogonodoon’ (note the reference to the enigmatic Dogon tribe) at the other, taking in a very healthy set of dance trax such as the reggaeton-like ‘Bbni’, the charming twang of Sitars on a disco beat on ‘Indienfoli’, and the devilish twyst of ‘Badjan’ alongside more fragrant, spacious and unexacting downbeat highlights in the grubbing sway of ‘Forêt’, and something very close to the ‘Fasokan’ sound with ‘A Tara’, where he gently flanges Kora strings under his hushed vocals to gorgeous, spine-playing effect. Again, warmest recommendations for this one.